Cadillac’s CTS is a unique compact executive model with a distinctive style. The car is reasonably priced and offers a high level of standard kit. The car’s unique exterior design will definitely catch an eye or two. European buyers may have an outdated perception of American cars. US car makers have come a long way in terms of vehicle dynamics, build quality and economy. The new Cadillac is definitely not the same as its ancestors. Cadillac hopes to get a serious foothold in the highly competitive compact executive sector. The sector is dominated by BMWs, Audis and Mercedes’. Cadillac’s CTS will be tasked with tempting and attracting buyers who are often loyal to these other brands. The CTS will attract plenty of attention with its unique exterior design. This sector of the market is conservative as the norm, and the Cadillacs flahy good looks will certainly not go unnoticed. The car also offers buyers more cabin space than rival brands, and rear-wheel drive. Cadillac also hopes come across to buyers with a more sporty appeal, and the company will face some stiff competition on that front as well. The CTS will remain a rare sight thanks to conservative target markets. The CTS will be bought by an elite few who wish to be seen in something different ahead of class-leading dynamics. The CTS won’t be a cheap car to run, and Cadillac doesn’t offer a diesel option. The dealer network is very small compared to rivals and could pose some inconvenience and additional expense on down the road. Resale values are questionable due to the vehicles anonimity outside the US. Size matters in the compact executive class and the CTS’ cabin space will work in its favor. The car’s cabin space beats out that of its rivals and might be enough to attract a good number of buyers away from some of the better known brands. Cadillac has added several useful features such as cupholders, door bins and a useful sized glovebox. The boot is also a decent size for coping with luggage or family life. The car’s main dials and controls are clear and easy to use. The car’s indicator stalks are easy to reach but could have been more intuitive. The rest of the car’s controls and dials are easy to find and do what you would expect them to. The car’s radio is easy enough to use, but the car’s sat-nav system looks a little messy due to the vast number of buttons surrounding it. The car’s cabin is very comfortable. The car’s seats could be more supportive and can become a little uncomfortable on longer journeys.The seats do offer an impressive array of adjustment to suit most driver’s and passengers. The steering column only adjusts for rake, but rear legroom is better than most rivals. Engine and wind noise are successfully suppressed. The CTS’ cabin provides excellent passenger space for both front and rear passengers. Head and legroom is generous all-round. Rear legroom is more than generous compared to rival brands. Boot space is also generous and will carry a good deal of luggage or other large items. Parking the CTS is not too difficult thanks to light steering and good forward visibility. Reverse parking can be a little more difficult, but doesn’t take long to adjust. Parking is fairly straightforward and shouldn’t present much of a problem. Cadillac has delivered a very appealing driving experience. Steering could have been better and road imperfections also could have been dealt with a little moreeffectively, but other than that the CTS delivers an excellent driving experience. The 2.8 engine delivers above average performance, and the car’s auto transmission delivers a smoother ride. The CTS would make an excellent family car. It provides plenty of passenger space and comfort for both forward and rear passengers. The car’s saloon boot will count against it when it comes time to carry strollers and extra large or odd shaped family items. The car’s posh interior will also not fair well when it comes to dealing with the abuse that small children can dish out. This is not a good first car. The car is too expensive for most first time buyers and rear-wheel drive is not the best idea for a novice driver. The car is unlikely to be appealing to most first time buyers anyway. Cadillac is a well-known and respected brand within the United States, but it is relatively unknown in Europe. Europeans tend to view American cars as having poor build quality and even worse fuel economy. 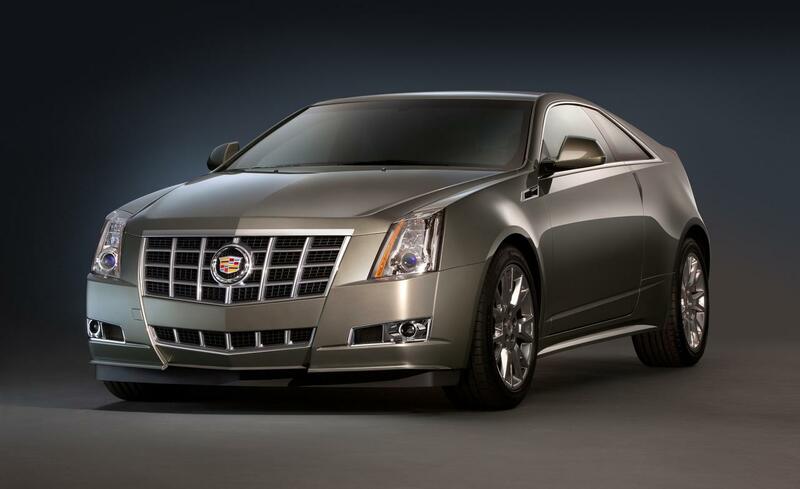 The Cadillac CTS is an attractive car but the firm’s image will be judged based on future models. The car’s standard security features include remote central locking, an anti-theft system. The car will attract plenty of attention due to the limited numbers that are seen in the UK. The car’s standard safety features include twin front, side and curtain airbags. The CTS also comes with anti-lock brakes, traction control and brake assist. The car also comes with a slip differential to help improve grip levels. The car’s standard audio unit includes an RDS radio plus a six-disc CD changer. The system includes eight-speakers and delivers excellent sound quality. The basic functions are duplicated on the car’s steeringwheel. The only available upgrade is to a sat-nav system with a large colour screen. The CTS’ exterior design looks flattering in both light and dark colours. The cabin design is comprised of mostly black and makes the cabin appear too dark. The car’s leather upholstery and wood trim help to lighten things up a bit. Black plastic make the CTS’ interior a little on the oppressive side. The Cadillac CTS has some very good features on offer, but as a whole the car is not really outstanding. The car does offer something different to the likes of BMW’s 3 Series, Audi’s A4 and Honda’s Accord. The car’s rear-wheel drive feature is unique and may attract some buyers to the brand. Cadillac has put forth a good first effort but will probably have to do a little better in order to steal customers away from some of the bigger brands.